OurWishingWell is an award-winning online money gift registry that has just been named best eBusiness in Australia. OurWishingWell gives your couples better choice and better value than traditional department store gift registries, and for you, the opportunity to make significant extra income from each wedding or event. OurWishingWell takes the wedding gift registry to a whole new level. Save time and money - it's quick and easy and accessible to everyone. "...my experience with Our Wishing Well has been fantastic. I have been impressed time after time with the level of service, advice, feedback - pretty much everything that Joseph and his staff have provided. They are very professional; they keep me informed and are eager to meet deadlines." "Joseph Renzi and his team at Our Wishing Well are the most professional group of people I have ever had the pleasure to work with. Nothing is too much trouble, emails are responded to quickly, his team are friendly, quick and have a real 'can do' attitude which is essential when running an online business. It has been a privilege to work with Joseph Renzi and his team ... I would highly recommend the OurWishingWell team to anyone who wants to start an e-commerce business. I encourage you to contact Joseph Renzi - he has a huge understanding of the industry, he is passionate, and he also knows lots of people that he puts you in touch with to help develop your business." More features - your new registry service will complement existing services as well as make extra money. And OurWishingWell can be used for other occasions too - anniversaries & engagements, baby showers, baptisms & christenings, confirmations & bar mitzvahs, birthdays, graduations & retirements, housewarmings, even fundraisers - it's the ideal extra service for anyone in the party or occasion business. Winner of Best e-Business of the Year by prominent business magazine MyBusiness. Awarded as one of the "top 10 coolest companies" in Australia by Australia's fastest growing business magazine. Awarded in BRW's prestigious list of the top 100 websites & the only team to have 2 websites in the top 20. 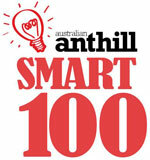 Awarded as one of the top Smart 100 companies (in all of Australia) by independent business magazine Australian Anthill. Finalist in the "Secrets of Australian IT Innovation" competition (twice). Recognized on Google's website as an online success story.